Spot highlights the importance of women and men working together to end gender inequality. The fight for gender equality is not a female fight – it’s everyone’s fight. That’s the message of the new global campaign from United Nations Foundation program Girl Up in partnership with Berlin Cameron. "Time to Rise," which launched today, includes a spot featuring actress, model and activist Corinne Foxx and TV personality Nigel Barker and his daughter Jasmine, as well as some Girl Up teen leaders and supporters. In the spot, women and men walk together and recite William Ernest Henley’s poem, "Invictus," ending with Foxx confidently saying the last line: "I am the captain of my soul." Girl Up co-executive directors Melissa Kilby and Anna Blue said that during meetings and summits with its teen leaders, they often heard the questions: "Where are the men and boys in these conversations?" and "How do we get more boys to attend Girl Up meetings?" "The idea of this campaign is about building bridges and making this movement less about women fighting for gender equality and show that this is everyone’s fight," said Blue. 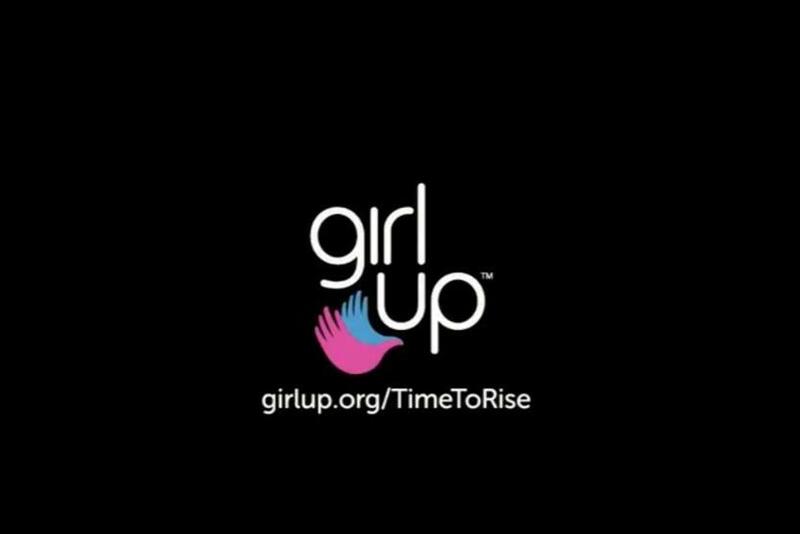 In addition to pushing that message, the goal is twofold: raise awareness of Girl Up so more people get involved and help raise funds for the program. Jen DaSilva, president of Berlin Cameron, has been an advisory board member of Girl Up for two and a half years. Berlin Cameron did the creative work for "Time to Rise" pro bono and the agency is also handling branding for the group at a reduced rate. The reason for using "Invictus" in the spot, according to DaSilva, is to highlight the message of "being unstoppable and fighting the good fight." "It’s an anthem we typically associate with a masculine strength and this is turning that on its head," she added. While this campaign is aimed at all industries – not just adland, Kilby said that Girl Up knows that the advertising world has a major impact on culture and the images being put out in the world. "It’s great to partner with folks having influence on those messages and selling products, and it’s great seeing women run agencies and behind the camera – it’s all working toward gender equity," she said. For now, the campaign will run online, but DaSilva is working to find partners that will provide free paid media to help amplify the cause. Since its launch in 2010, Girl Up has brought in nearly 700,000 supporters around the world, many whom are teenage girls. The program has also helped train close to 40,000 girls in 100 countries with its leadership development lessons, and its grant money has also reached about 40,000 members.